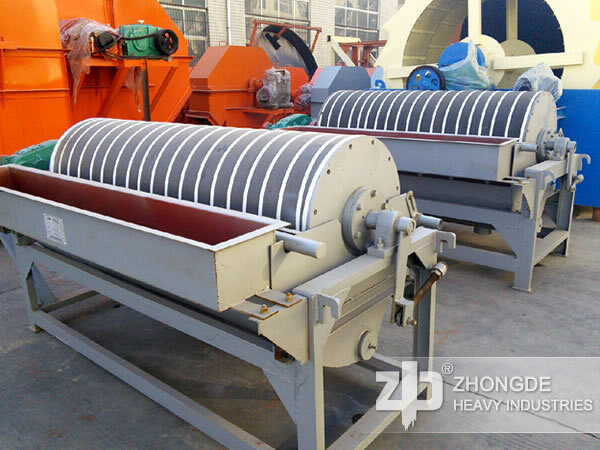 The magnetic separator produced and provided by Zhong De is the ore processing machine which selected secondary the magnetite, ilmenite and other material. Applied Material: magnetic pyrite, roasted ore, Magnetite, tantalum-niobium ore, titanic iron ore, hematite, limonite, siderite, wolframite, red mud, quartz, fluorite and feldspar. 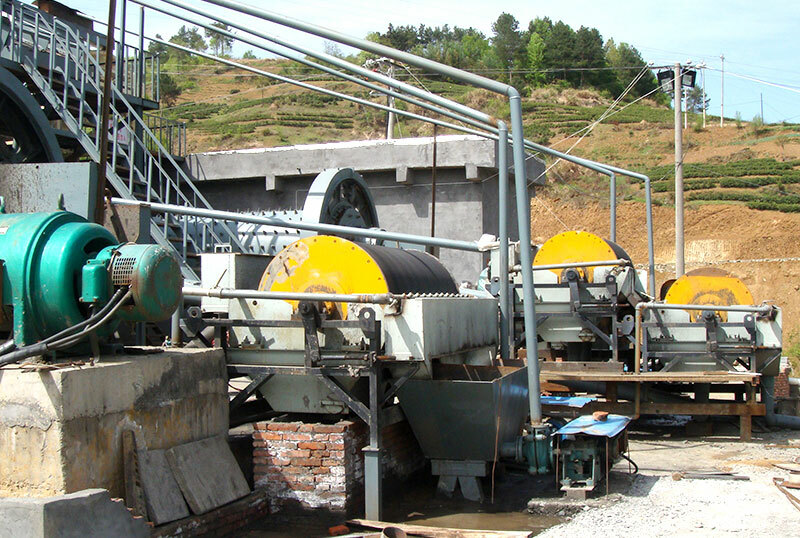 The magnetic separator produced and provided by Zhong De is the ore processing machine which selected secondary the magnetite, ilmenite and other material. We can add the water during the magnetic process, that also can say the magnetic separator can be wet magnetic separation. 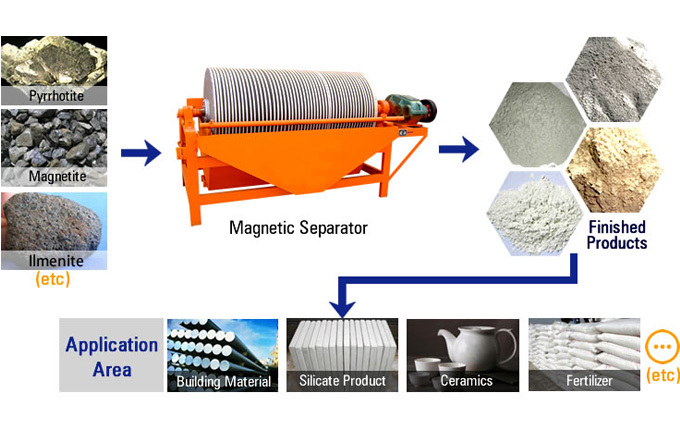 How does the magnetic separator work? 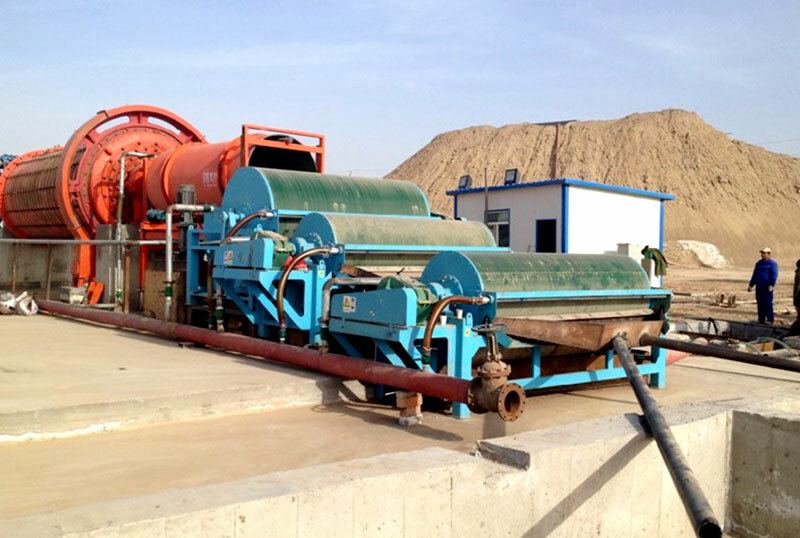 Magnetite, pyrite, ilmenite and other materials are grinding into the pulp by ball mill, the pulp was sent to the magnetic separator of the tank, the magnetite in the pulp effected by the magnetic, was adsorbed on the magnetic role of the drum. These are adsorbed on the drum magnet is the concentrate. 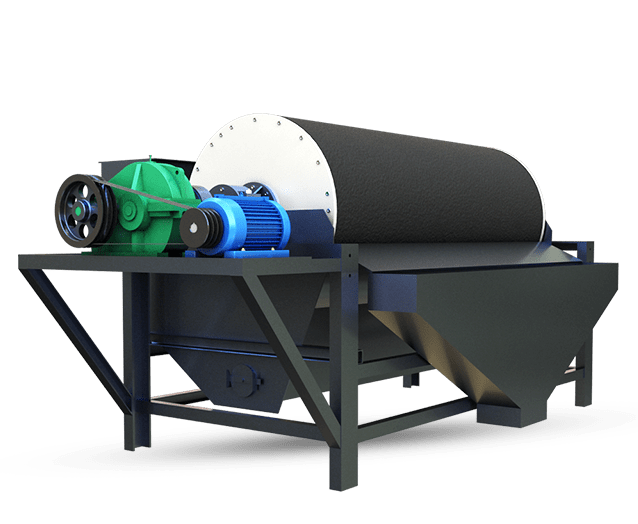 Which industries using the magnetic separator ? Mine. 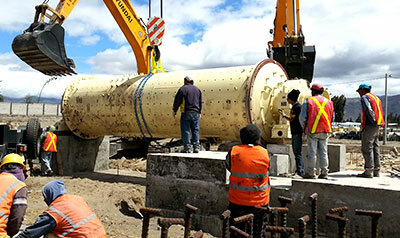 Here we are talking about the magnetic sepapator is the ore processing machine. 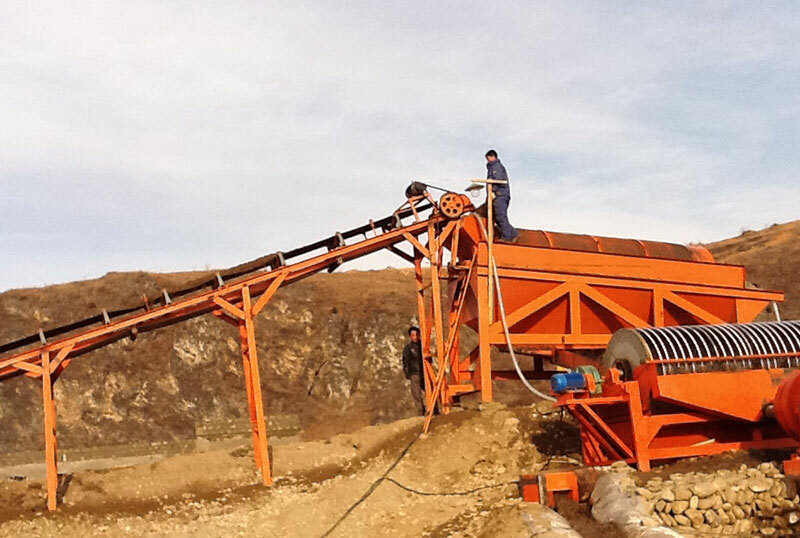 Magnetic separator is widely used in the mine to selected secondary the iron ore, and also for non-metallic mineral iron removal operations. Consentrator. 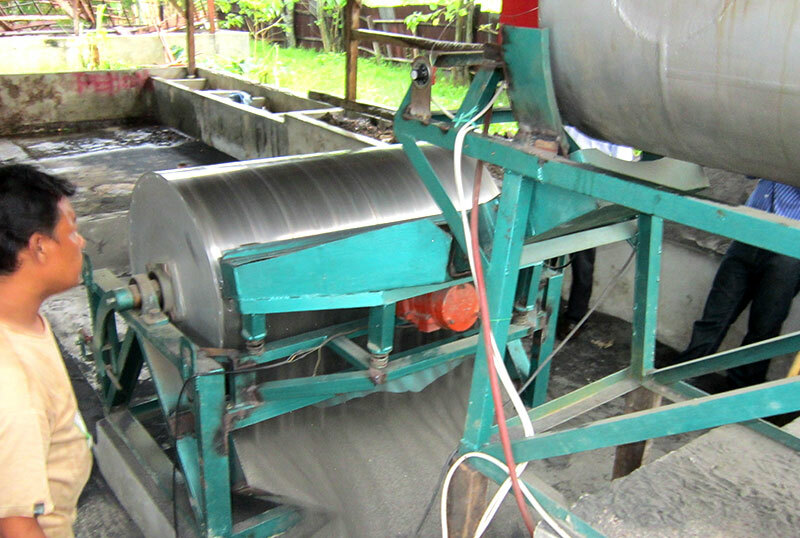 Magnetic separator also be widely used in consentrators. It brings the great grade concentrate to clients. And it has the lower investment cost and higher benefit.